Join us for the monthly Chamber Power Hour! What is the Power Hour? It's a fantastic hour of hands-on training with industry insiders designed to help you grow your business. 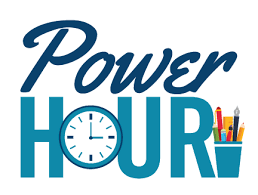 The Chamber Power Hour kicks off right before the Chamber Happy Hour so you can join us for the Power Hour and then join other members and guests for the Chamber's monthly Happy Hour! More information on the program soon! Please check back for more details. Don't forget...right after the Power Hour, join us for the Chamber's Happy Hour - Celebrating the Chamber's 3rd Anniversary! Note: You must RSVP separately for the Happy Hour!